A.D. 639-642 Muslim Arab armies conquered Egypt. 969-1171 The Fatimid dynasty ruled Egypt. 1171-1250 Egypt was governed by the Ayyubid dynasty. 1250-1517 The Mamelukes ruled Egypt. 1517 The Ottoman Turks invaded and occupied Egypt. 1801 British and Ottoman troops drove the French out of Egypt. 1869 The Suez Canal was completed. 1875 Egypt sold its share of the Suez Canal to Great Britain. 1882 British troops occupied Egypt. 1914 Great Britain made Egypt a protectorate. 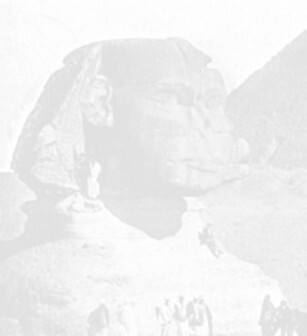 1922 Great Britain gave Egypt nominal independence. 1940-1942 British forces fought Italian and German troops in Egypt during World War II. 1948-1949 Egypt and other Arab League countries invaded Israel after the United Nations (UN) divided Palestine into Jewish and Arab nations. The Israelis drove back the invaders, and the UN ended the war. 1952 Army officers forced King Farouk to give up the throne. 1953 Egypt became a republic. 1954 Gamal Abdel Nasser came to power in Egypt. 1956 The Egyptian government nationalized the Suez Canal. Israel, France, and Great Britain invaded Egypt, but the United Nations ended the fighting. 1958 Egypt and Syria formed the United Arab Republic. Syria withdrew from the union in 1961. 1960 Construction began on the Aswan High Dam. The dam began operation in 1968. 1967 Egypt and other Arab nations lost a war against Israel. 1970 Nasser died. Anwar el-Sadat succeeded him as president. 1973 Egypt and other Arab nations fought Israel in the fourth Arab Israeli war. 1978 Egypt and Israel reached a major agreement designed to end the disputes between the two countries. 1981 Sadat was assassinated, and Hosni Mubarak succeeded him as president. 1990 Egypt played a leading role in Arab opposition to Iraq's invasion of Kuwait. In 1991, Egypt took part in an allied military coalition that defeated Iraq in a brief war.